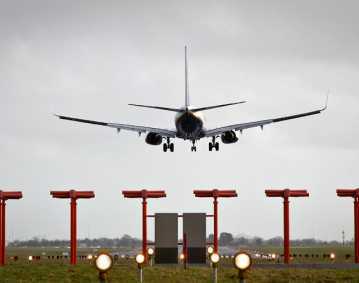 atg airports offer a range of taxiway guidance signs including clearway airfield guidance signs, LED taxiway guidance signs, RHAG markers, stand number indicators and parking stop signs. Click on an image below for more information about specific types and models of airfield signs. ATG Airports supplies a wide range of taxiway guidance signs and runway signs to meet with several international specifications. Clearway taxiway guidance signs are manufactured by atg airports at our Warrington headquarters. Designs have been developed to improve reliability and maintainability whilst helping to reduce overall life cycle and energy costs. The main body of the Clearway Sign cabinet is manufactured from a corrosive resistant aluminium extrusion which is interlocked with cross members and side panels. All clearway signs are supplied with LED technology as its primary light source. 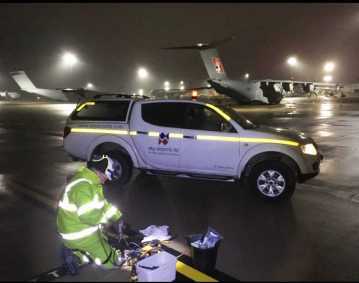 IRIS LED airfield guidance signs provide high intensity lighting solutions for CAT III all weather operation airfield ground lighting (AGL) systems. The IR858I LED airfield guidance sign is specifically designed to meet the ICAO requirements for Mandatory and Information airfield guidance signs (ICAO Annex 14, Vol.I, Paragraph 5.4 and Appendix 4.). It is the latest model of airfield sign to be manufactured by atg airports. A Runway Arrestor Gear Marker (RHAG Marker or Moon Board) is primarily used by the military and is used to indicate the location of the aircraft arresting cable on the runway. Illumination is provided by either the latest LED technology with a life expectancy in excess of 75,000 hours or with long life fluorescent tubes. Stand Number Indicators identify appropriate stand numbers to taxiing pilots. The size of the cabinet is dependant on the amount of characters required. It is highly visible in all weather conditions and is supplied fully assembled. It is certified to the latest standards. The new ATG Aircraft Parking Stop Sign employs the latest in LED technology to offer superior clarity and long operational life. It is designed for use on aircraft parking stands. It employs the latest in LED technology to offer superior clarity and long operational life. 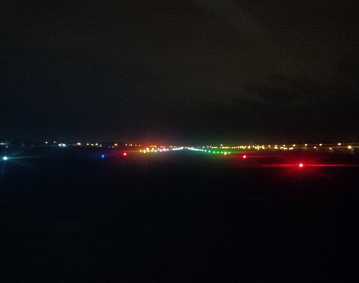 Illuminated Runway Distance Markers indicate the distance to the end of the active runway to the pilot. They are part of the range of our airfield signs, distance markers and access signs. A mandatory runway sign is provided to identify a location beyond which an aircraft taxiing or vehicle is not to proceed unless authorised by the air traffic control. Mandatory airfield taxiway signs also include Road-holding Position signs, and No Entry signs. These mandatory guidance signs display white characters on a red background. Identify the designated runway-holding position associated with a particular runway, and consist of the runway designation in white on a red background. Where the runway is equipped with ILS, the runway-holding position is usually established at the edge of the critical/sensitive area in order to protect the ILS when in use. A Runway-holding positioning sign is located on the outside of the Runway-holding markings facing the direction of approach to the runway. This type of airport runway sign is installed when entry to an area is prohibited. The sign is located at the beginning of the area to which entrance is prohibited on each side of the taxiway as viewed by the pilot. It can also be classified as a mandatory sign. Taxiway information signs are usually yellow in color with black lettering. 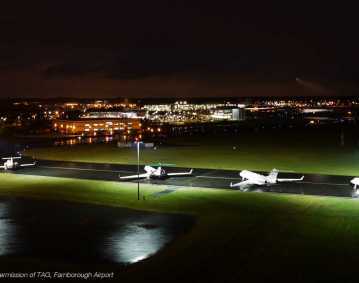 These are to provide assistance in directing the pilots while manoeuvring aircraft around the taxiway infrastructure. Include: direction signs, location signs, destination signs, runway exit signs, and runway vacated signs. An information sign other than a location sign is to consist of an inscription in black on a yellow background. A location sign consists of an inscription in yellow on a black background. These are used to identify individual taxiways. Taxiway information location signs bear the taxiway designation letter in yellow on a black background surrounded by a yellow border. Taxiway location signs are generally positioned at the approach to a taxiway intersection.